With Open Automation Software it has always been easy to display Industrial Internet of Things data using standard web technologies. 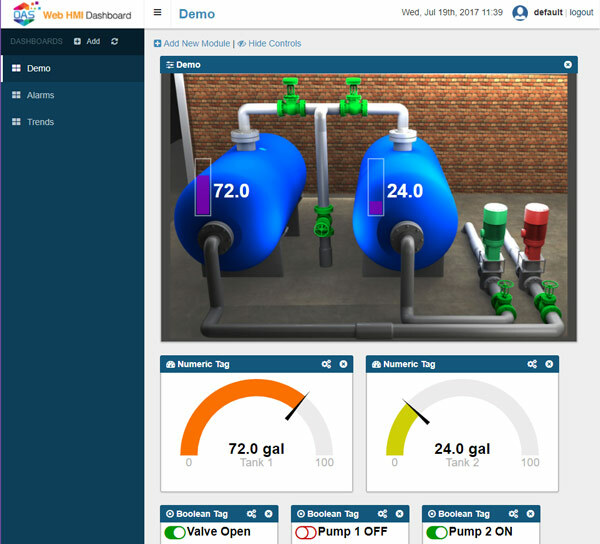 Now visualizing your data is even easier with the new Web HMI IIoT Dashboard from OAS. 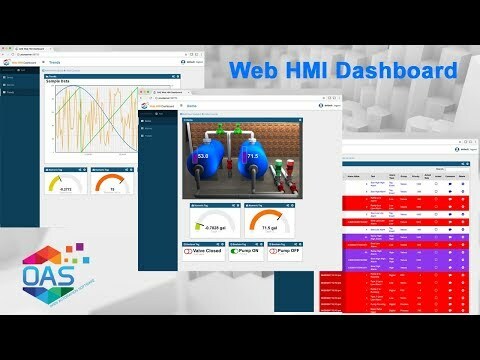 The OAS Web HMI Dashboard is a browser based application that displays IIoT data from an OAS server. There is absolutely no programming required to implement the Web HMI Dashboard. Visualizing your IIoT data is a simple as entering the URL of your OAS server, locally or over the internet. 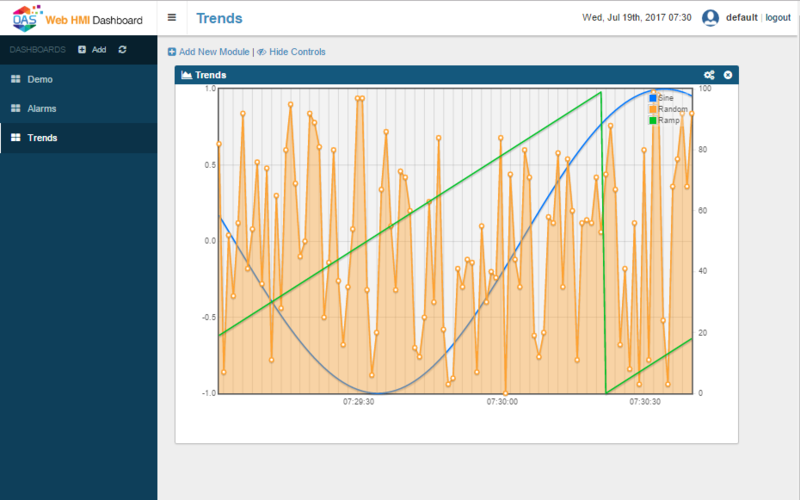 Once connected you can display IIoT data using built-in interfaces that include radial gauges, boolean switches, trend graphs and alarm data in tabular display. Create new modules on the fly and then drag and drop modules to keep essential IIoT data at your fingertips. Create unlimited dashboard items each containing modules to display any IIoT data available on your OAS server. 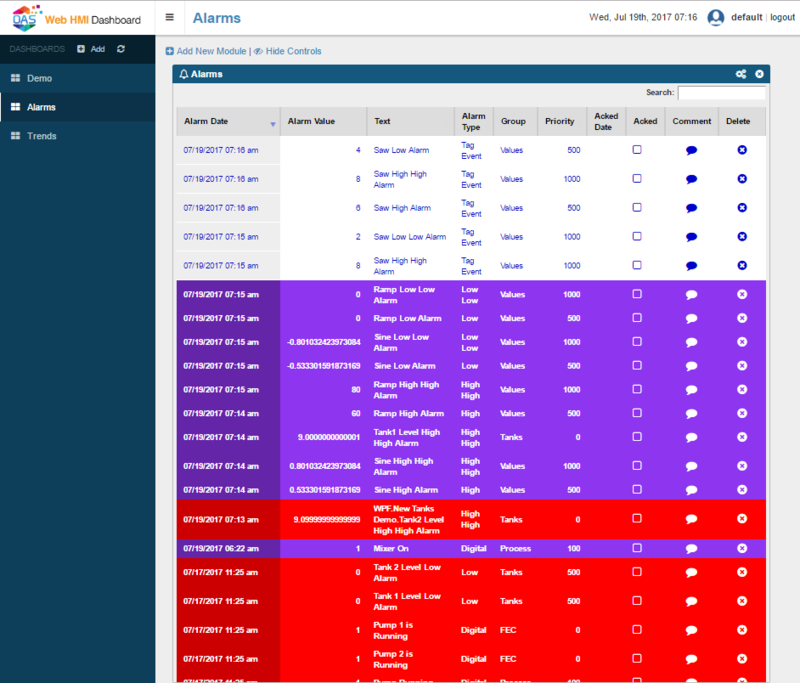 Developers and system integrators will find the Web HMI Dashboard great for rapid prototyping of HMI and SCADA systems. OAS Web HMI Dashboard ships with a customizable stylesheet so developers and integrators can customize the look and feel of the dashboard to match a given corporate style. OAS Web HMI Dashboard comes included free with the OAS product and can be evaluated free for 30 days. Try it today! To learn more about Web HMI Dashboard check out our help resources.